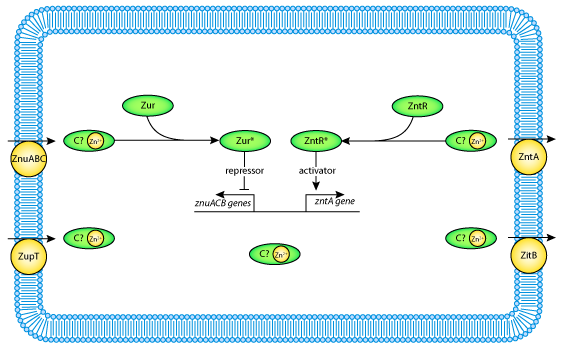 This CellML model runs in both OpenCell and COR to recreate the published results. The units have been checked and they are consistent. In this particular version of the model the zinc-buffering effects of TPEN are NOT considered.